Russell Fowler drives solo through Botswana’s largest storm for 30 years to deliver supplies to Khwai Village, Naletsana, Botswana. CEO & Chairman of FuelDefend on 10 day journey with Ice Road Truckers delivering vital supplies to the First Nation peoples of Northern Canada. 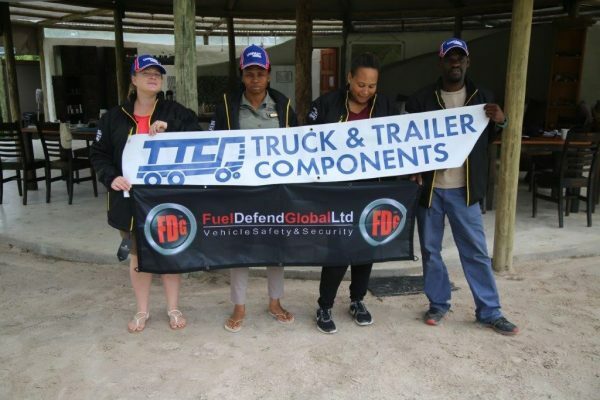 Russell Fowler and FuelDefend have always contributed to help misfortunate peoples in Southern Africa, whether reaching out to remote Kalahari Desert groups or supporting villages of Ngamiland in the NW of Botswana. 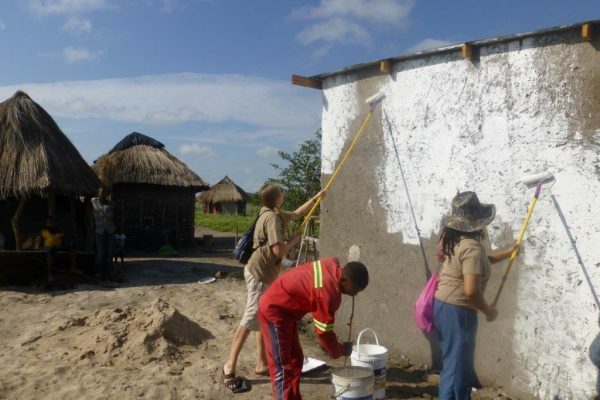 Last year the company supported the development of the Naletsana Foundation charity, initially providing clothes to help the villagers of Khwai after the massive storms of Jan/March 2017, but then going one big step further – to build a house for Flo. Khwai a small village of approximately 400 BaBukakhwe or River Bushmen located just outside Moremi Game Reserve in Northern Botswana about 4 hours from Maun, the wildlife and tourism gateway to the Okavango Delta and the wilds of the North of Botswana where 40% of Africa’s elephants thrive. The Babukakhwae are a section of the Basarwa Bushmen or San. Most of the people in Khwai are Babukakhwae but some are Bayei as well. Bukakhwaedam is the ancestral language of this village, but Setswana, English and Afrikaans are also heard. By Western standards, AIDS is rife in the village. In early 2017 Khwai Village was struck by torrential storm leaving behind flooded rivers, fields and main tracks through the village, crumbling mud huts, ruined straw roofs, invading elephants, displaced poisonous snakes and malaria. The floods attracted crocodiles and hippos into the village from the nearby village. One villager Florence, has no husband and eight children to look after. With no income Florence often risks her life in Khwai River collecting water and food while hippo defend their territories and crocodiles hunt. Like many other villagers Florence and her children survive on basic maize porridge for breakfast which is prepeared family in very kitchen areas. Lunch and dinner will be much the same with maybe a little meat or fish and a few vegetables if the elephants haven’t trampled them. Flo slept outside her hut facing snakes, scorpions, rats, hyaena and occasional leopards. In the extreme rains of 2017 Florence and other villagers used old tents erected within their decomposing huts to keep dry. Stocks of river reeds for roofing mud huts were ruined by four months of heavy rains. The villagers cannot afford to buy-in new reeds from distant towns. In July 2017 FuelDefend Global sent three of its directors and its major shareholder to visit the villages of XaiXai, Tsodilo, Sankuyo, Kasane and Khwai to assess projects for the future. At Khwai they met Flo and her family and committed immediately to build a brick and metal-roofed home to replace her badly damaged mud hut – the first such programme in the village of 500 people. 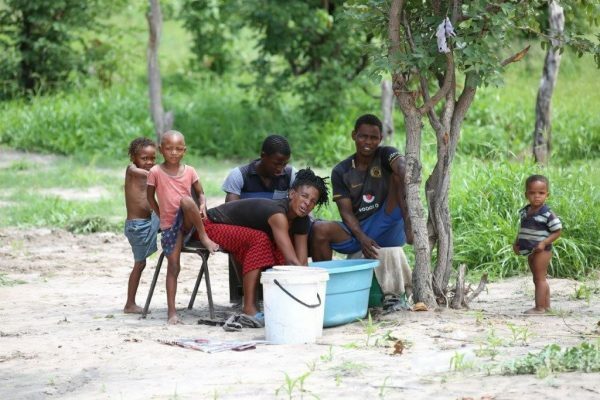 Says Russell, “I can’t thank Maria and Sandra enough for their huge efforts and I can’t wait for us to return to take up Flo’s offer of the best home-cooked maize meal in Africa – with freshly caught Khwai River bream and mopane worm starter!